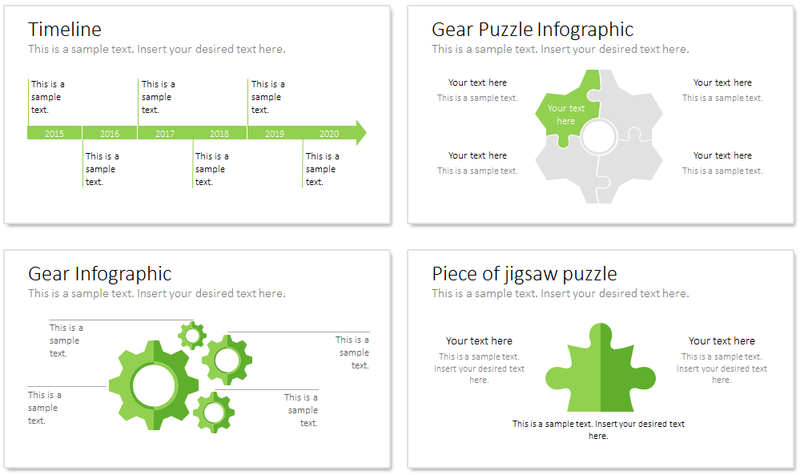 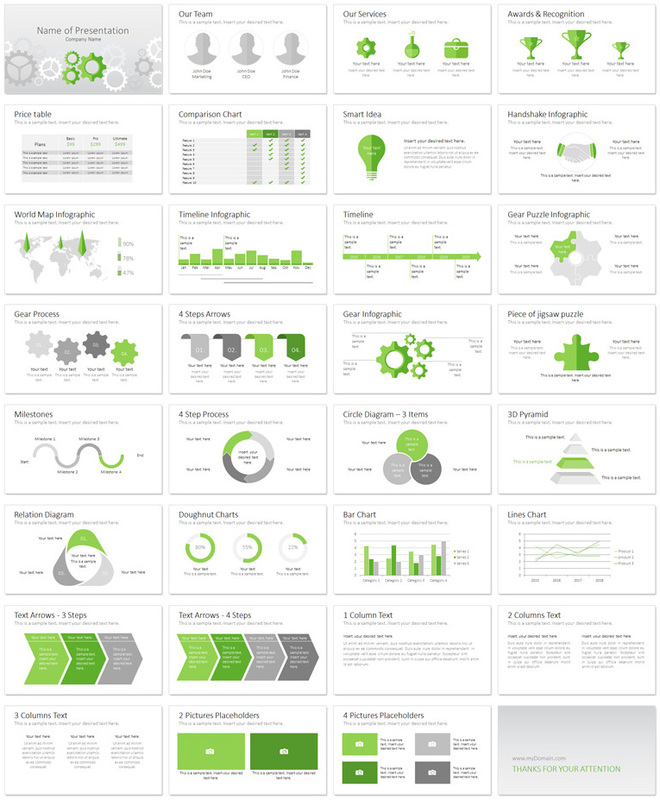 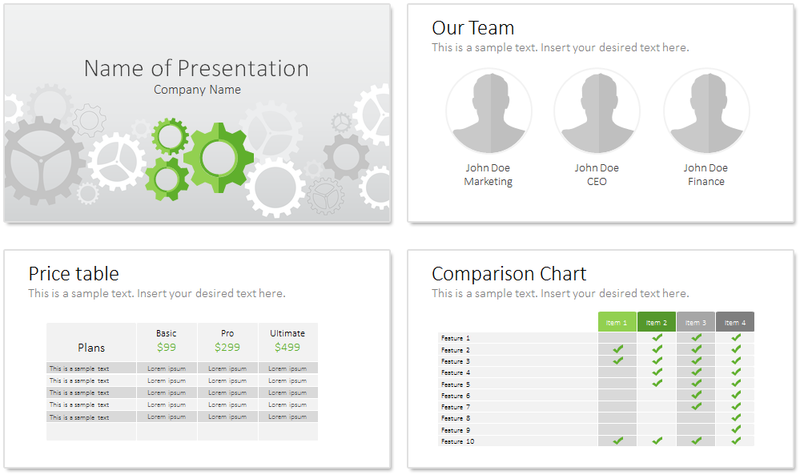 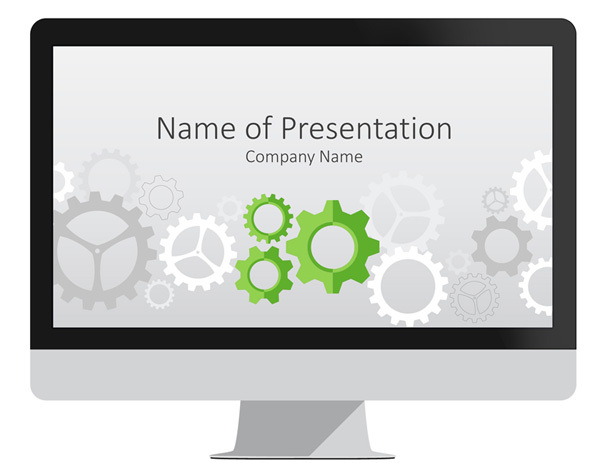 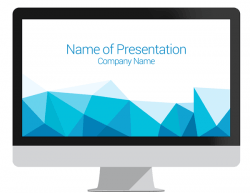 Gear wheels PowerPoint template containing 32 pre-designed slides including these topics; the team, services, awards & recognition, handshake, timeline Infographic, price tables, data charts, 3D pyramid, and many more useful slides. 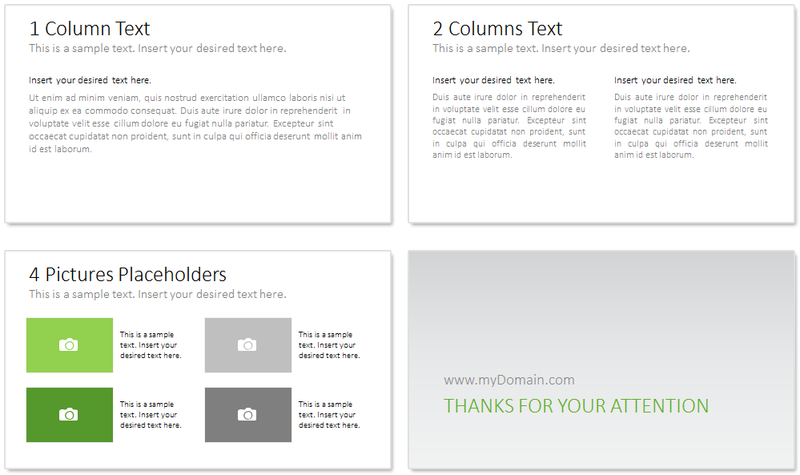 Clean grey and green layout with consistent visuals. 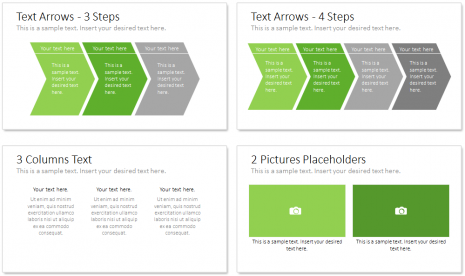 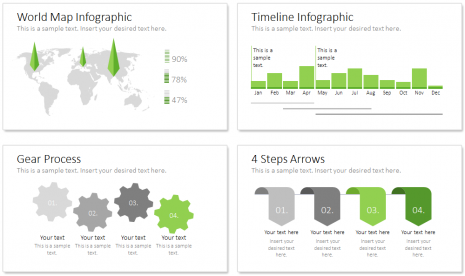 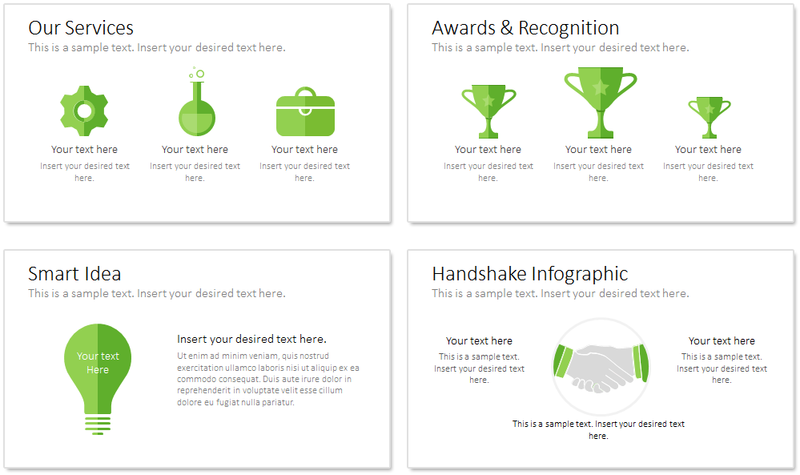 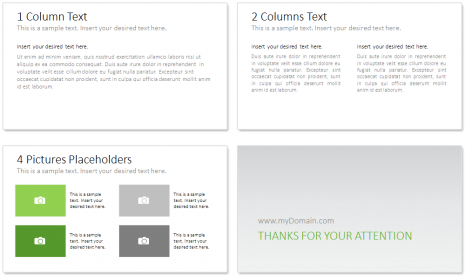 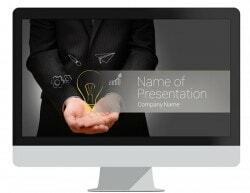 This theme is suitable for various topics like marketing, business, etc. 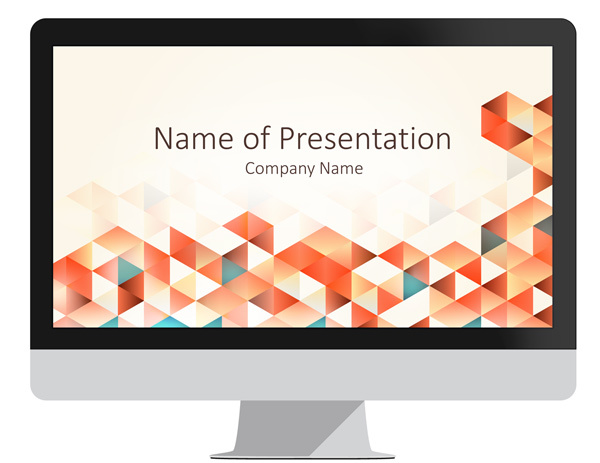 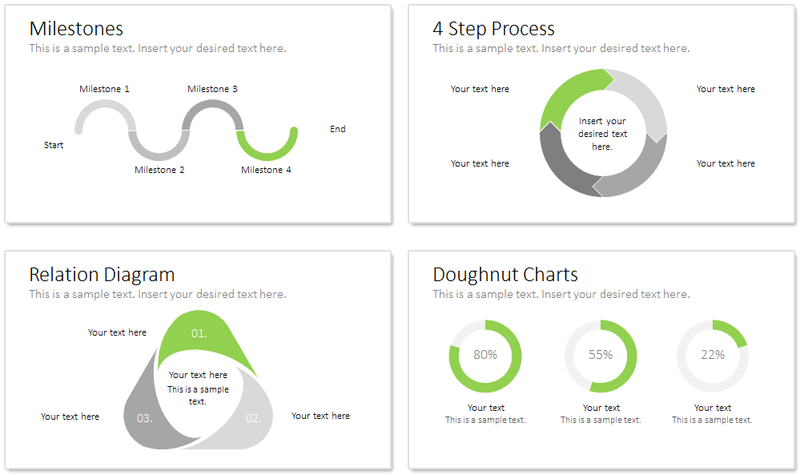 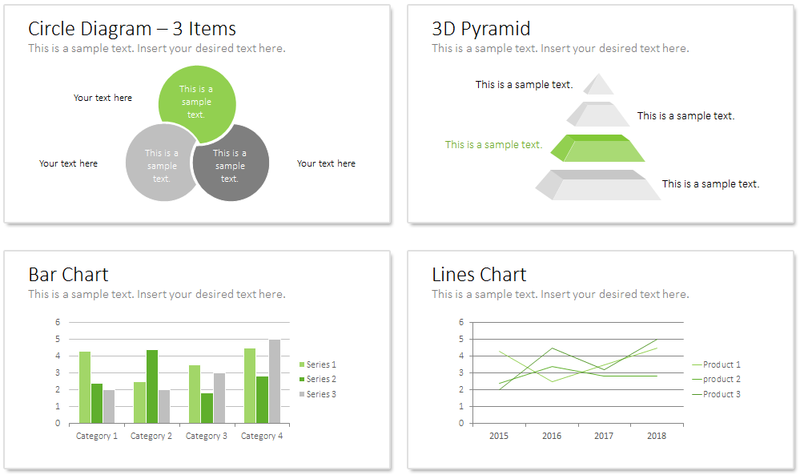 Design elements and shapes are vector-based and editable in the Slide Master View in PowerPoint.